Apple today released the first official update to the iOS 10 operating system, just 10 days after releasing iOS 10 to the public and two days after seeding the first iOS 10.1 beta. iOS 10.0.2 can be downloaded as an over-the-air update on all devices running iOS 10. Today's update includes fixes for several minor bugs that have been discovered since the operating system was released. A bug that caused the new Lightning EarPods designed for the iPhone 7 and 7 Plus to stop working properly has been addressed. EarPods have been timing out after a short period of time when listening to music, rendering the remote unresponsive and unable to control volume, access Siri, and answer phone calls. The update also resolves an issue that caused Photos to quit for some users when activating iCloud Photo Library and fixes an issue that prevented enabling some app extensions. 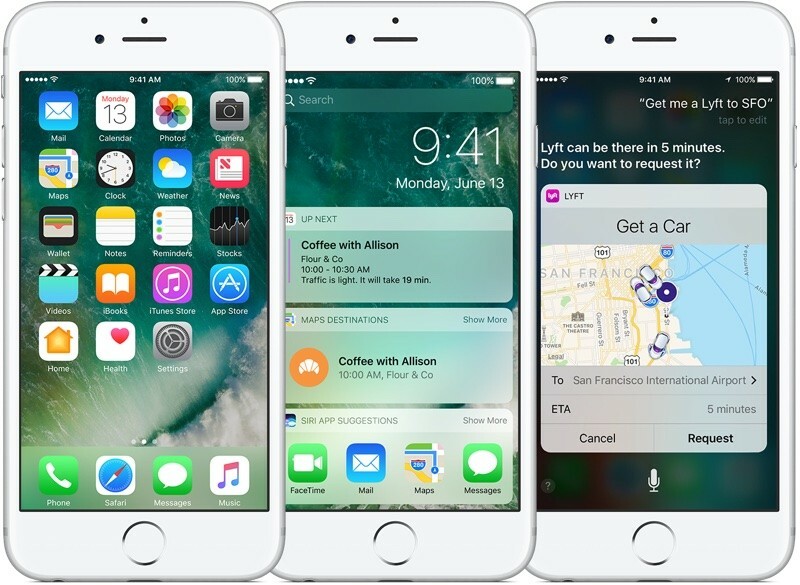 iOS 10 is a major update that includes features like a redesigned Lock screen experience, a revamped Messages app with a full App Store, a Siri SDK for developers, new looks and features for Maps and Apple Music, and tons more. Does this update fix the issue where people who don't have an iPhone constantly bring up issues they don't really have in online forums? I'd be curious to see if there are battery life improvements as since upgrading to ios10 my 6s has barely made it to 5pm before needing a charge. Does this update include more courage? Now what the haters have to say? Good luck with your Android now! Same things they always say. Lies. iOS gets released to hundreds of millions of people and you're bound to find bugs. This is an absolute in the software industry: More people using your software equals more bugs found. Apple patches them (like they do every year) in a timely manner and life goes on. When Google releases a new version of Android the adoption rates are abysmal. So it appears that new Android releases have fewer bugs when the real issue is there's not enough people using it to actually build up a database of issues. If you actually looked at the number of issues discovered over a period of one year you'd see that Android has just as many as iOS. The difference is the complete cluster**** that is the Android update model which means it's a crapshoot when you get these fixes. By the time 3 months goes by iOS 10 will have received several updates and fixes. If you're on Android you're lucky if your phone even gets Nougat after 3 months. Nope, just requires more courage. Any fix for the "no coverage" complete reception drop outs I get several times per day? It's possible this needs to come from the carrier, but I'm surprised no one has addressed this other than on Tmobile. There's a bug in the headline (it's missing the word "Fixes" at the end). (Never mind; either it's been fixed, or there's a bug in my reading skills). Wonder if these fixes are on the 10.1 beta.